Welcome back to Fratello Fantasy Basketball for the 2012-2013 NBA season. With 30 teams comprised of 15 players, there are approximately 450 ballers to choose from when assembling a fantasy roster. Yes, players such as Kevin Durant, LeBron James, Kevin Love, Chris Paul and Josh Smith are the ones to draft early in order to build a solid, productive foundation for a team. Barring catastrophe, the NBA stars will load up fantasy points for their squads. However, fantasy owners must also have consistent contributors beyond the monster-number guys in order to contend for a title. Capable bench players will be needed to boost team point totals and to step up and fill in for injured starters without falling off a statistical cliff. For fantasy owners, it can be challenging to evaluate lower-ranked players and to predict how they will perform on a nightly basis under varying circumstances. The 4th and 5th starters, bench guys, rookies and break-out players will separate the dominant wolf teams from sheep teams that follow the pack and finish safely in the middle. Throughout the season I will highlight valuable pickups who fall outside of the elite fantasy performers. The following are eight players you should consider drafting after the superstars go off the board. Look to take the 5th-year, 6’10” big man around the 50th to 65th pick in your fantasy draft. 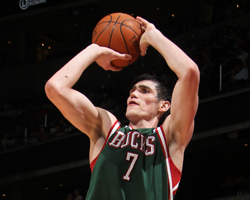 25-year-old Ilyasova averaged 13 ppg and 8.8 rpg in only 27.6 mpg last season. He is a solid free throw shooter (78%) and consistent from the field as well (49%). A terrific offensive rebounder, Ilyasova had season highs of 32 points and 19 boards last year, showing tremendous upside. The Bucks rewarded the coveted free agent with a five-year deal after his breakout season in 2012, ensuring that Ilyasova will get more court time as he enters his playing prime. This super-motor, sophomore Nugget is another fifth-round contender. 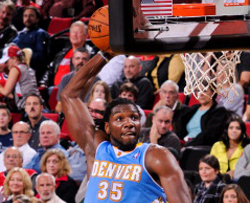 In his rookie campaign, 6’8” Faried averaged 10.2 ppg, 7.7 rpg and 1 bpg in 22.5 mpg. He rarely played at the start of last season, but eventually impressed George Karl enough to earn a spot in the starting lineup. By April, Faried was often on the floor for 30+ minutes. He shot 59% from the field in 2012 and had season highs of 27 points, 17 boards and 4 blocks. With Al Harrington traded to Orlando in the off-season, Faried’s minutes should greatly increase. 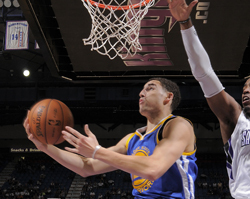 In his rookie season, 6’7” Thompson played in all 66 games, averaging 12.5 ppg, 2 apg, and 2.4 rpg in 24.4 mpg. He shot 87% from the line and averaged 1.7 three-bombs made per contest. After Monta Ellis was traded to Milwaukee, Thompson’s court time and production grew. Then when Steph Curry went down with a chronic bum ankle, the great perimeter shooter became Golden State’s main outside threat. In the month of April, he averaged 18.6 ppg, 3.8 rpg, 2.8 apg and 1.2 steals in 33.7 mpg. Thompson will be a good get in the sixth round. 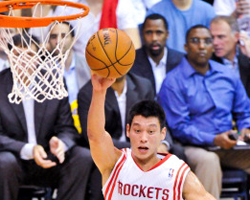 The moveable show that is ‘Linsanity’ has switched home bases. The 6’3” PG from Harvard might have been the most talked about athlete in the country last February when he averaged 20.9 ppg, 8.4 apg and 2.1 spg during a span of 14 contests. Before suffering a season-ending knee injury, Lin played in 35 games for the Knicks and finished with averages of 14.6 ppg, 6.2 apg and 1.6 spg in 26.9 mpg. Houston believed in the continuing evolution of Lin and gave him a sizeable 3-year deal to lead their young squad When he’s on he can fill up a stat sheet. Grab Lin in the sixth or seventh round.